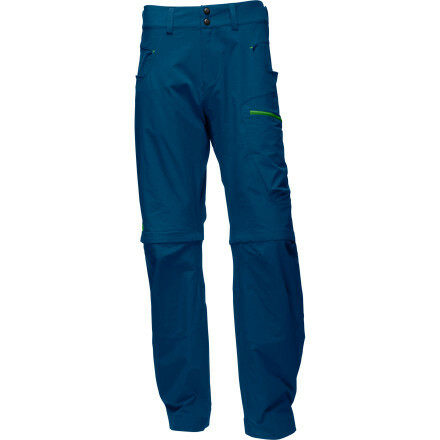 The highly flexible Crestview Pants are the most technical, trail-focused, cold-weather pants we make. They use a 4-way, performance stretch fabric, made from a substantial blend of 91% recycled polyester and 9% spandex, that flexes as you do, dries quickly and resists the abrasion of rugged, multi-day pursuits. A DWR (durable water repellent) finish resists moisture and increases durability. Designed with a clean and trim silhouette, Crestviews have articulated knees and a gusseted crotch for unrestricted movement through the legs and hips. Zippered cuffs with an expandable gusset provides easy access to boots, and a reinforced ankle scuffguard resists abrasion. 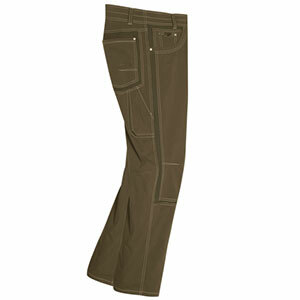 They have a cleanly finished fly and waistband, two rear pockets, two hand pockets and a side leg pocket with zips. The slim-straight fit sits on the waist with a regular rise, not too loose but not too tight in the seat and thighs, then cut straight from knee to ankle. Best for lean-to-medium builds. Inseam is 30". 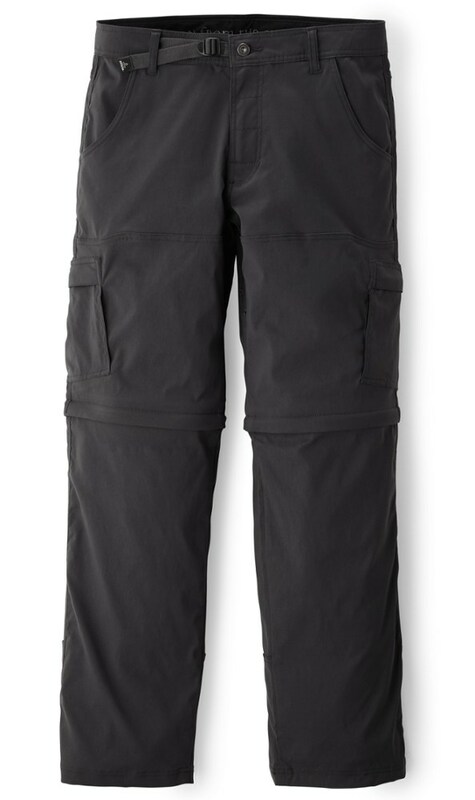 The Patagonia Crestview Pant was aptly named for the best part of any hike--the point in which you finally put that steep summit push behind you, crest over the last pitch, and get to enjoy the expansive view you spent the last 10 miles trying to get to. 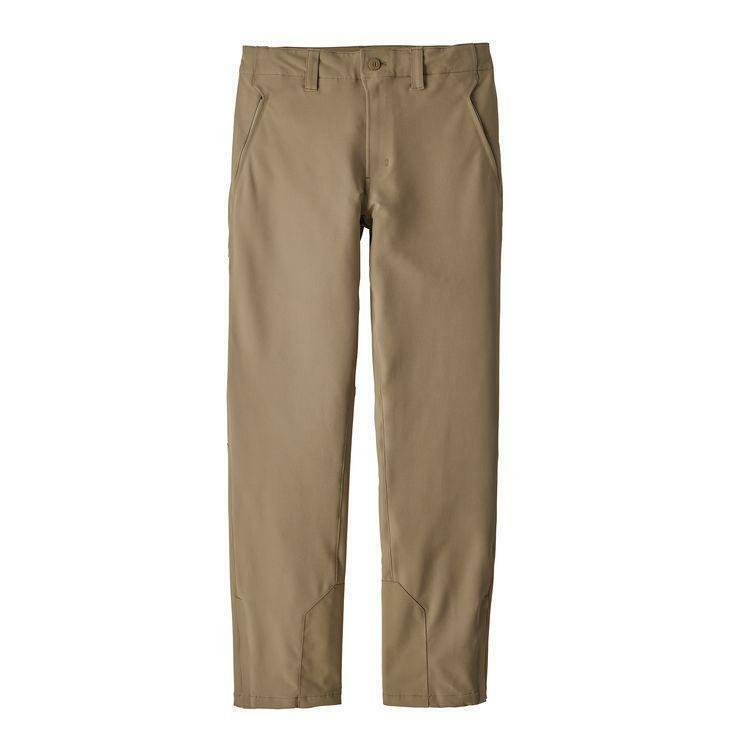 Designed for colder weather and made with a flexible yet rugged fabric, this pant lets you move the way you need to on steep trails and technical terrain, and withstands abrasion from tree branches and rough rock. The gusseted crotch and articulated knees continue in the pursuit of giving you full, unrestricted motion, ensuring that your clothes will never be a source of continued stress on longer backpacking treks. For greater comfort and easier access to boots the ankles have a zippered gusset, and also boast a reinforced scuff guard to reduce damage from abrasion. All of the pockets have zippered closures to keep trail maps, snacks, and smaller pieces of gear secure, helping you maximize your time in the woods.